Newcomer Family Obituaries - Donald Burton 'Don' Case, Jr. 1927 - 2019 - Newcomer Cremations, Funerals & Receptions. Donald Burton "Don" Case, Jr.
Donald Burton Case Jr., 91, of Denver, Co died Thursday April 4, 2019. He was born to Donald Burton Sr. and Rose Alice Case, October 26, 1927, in Denver, CO.
Don graduated from North High School in 1945 and completed one quarter of college at DU in Denver, CO before serving in the army at the end of WWII. After serving in the Occupation Army of Japan for approximately 15 months Don returned to DU. Don married Beverly Jean Lundberg on August 25 1950. He went into business with his dad and together they created Don Case TV and Radio Service. Their shop was one of the first to sell televisions in Denver. 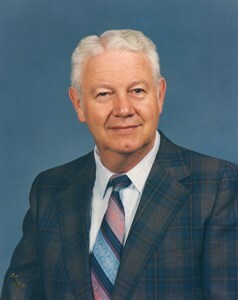 Don was an active member of Immanuel Baptist Church. He served as a deacon and was involved in many ministries. Later he attended Mission Hills Church and was active in the Messengers Class. He was a devoted son, brother, husband, father, grandfather and great grandfather. He was preceded in death by his parents, two sisters and wife. He is survived by his two children Kenneth Case and Beth Nelson. He is also survived by three grandchildren and three great grandchildren. Services will be held 11:00 am on April 25th at Mission Hills Church 620 Southpark Dr., Littleton, Co 80120. Viewing is at 10:00 am with a reception following the service. A graveside service will take place on Friday April 26, 2019 at 9:00 am, at Fort Logan National Cemetery. Assemble by 8:45 am at Staging Area A on Kansas Street. Come in North entrance off of So. Sheridan Blvd. Add your memories to the guest book of Donald Case, Jr..